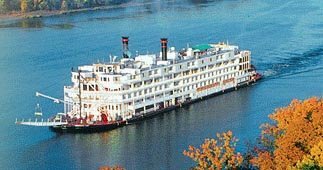 Friends for Our Riverfront: Help Save the "Queen"
The Delta Queen may have steamed out of Memphis for the last time. But there's an effort to change that and you can help. Until today, the Delta Queen, built in 1926, was the only wooden steam-powered paddlewheeler still providing overnight passenger cruises on the Mississippi River. Today it lost its fire safety exemption to carry overnight passengers. There's an on-going effort to get a reprieve from Congress for the illustrious lady. To continue in operation, the steamboat needs a new exemption from 1960s federal Safety of Seas Act that bars largely wooden ships from overnight cruises. To learn more and help save the Queen, click here.